Let's do this!!! Yipppeeee! It's only one of my Fa-vor-ite events of the year! Apparently the girls were pretty jazzed too! They BOLTED through the gates! They were darting back and forth and didn't really know where to start. A very different approach than only a year ago! Last year, they pretty much rode around in a wagon. This year, "they" (ELLIE!) had an opinion! Gabbi Girl was a little more chill in general. Her mom forgot that she really, really needed to brush her hair prior to letting her nap with wet hair. Thus today's hair do. Just sayin'! She is so precious anyway! And to watch her in action.... "precious"... that is the word that best sums her up! The other girls ran from here to there and acted like mini lunatics. This one, stooped and studied, and strolled around calmly! Ellie made herself a wagon full of pumpkins. She really thought I would buy all of these for her. She had another thing coming! I really like this picture with the crosses in the background! Isnt' that neat? Maddi was a little more docile. She was happy to sit and chill in the wagon. And I warn you... I have some C-U-T-E Maddi pics coming up. Get prepared! And then Gabbi got her a big ol' wagon full! Did I mention she is so precious? Have I mentioned Gabbi Girl can now do the "mean face" on cue? It is pretty funny! She purses those lips and squints her eyes and furs her brow. And now let's talk about Staci. Check out her outfit... ALL of it! Mary Allison was giving her H E double hockey sticks about her shoewear! Have you all heard of Crocs? They're new! The new thing! And Staci is very fashion forward! Just sayin'! Gabbi Girl was not much in a posey mood. But I LOVE how our fingers are intertwined. Looking for that silver lining! Gabbi, you WILL take a picture with your mom. stop the resistance! Smile! Like it. Ok, ok. I guess it will only happen if I pull you around in the wagon. Will do, my darling daughter! Not sure why. But I LOVE taking pictures of pumpkins. I LOVE all the shades of orange! In fact, I have put a bunch of orange in my new house! Ok, get ready.... here they come! The cute pics of Maddi! I seriously love it when the sun streaks are caught in a photo! ANd if I were Staci I'd have this one blown up into a big ol' canvas! Or maybe I'll do it myself for her for Christmas. We'll see if she reads my blog! I seriously don't think she does. She LOOKS at it, but I don't think she ever reads a word. We'll put it to the test. Hey, Staci, did you wear your YoYo's today? Or maybe your Jellies? Or maybe your leather high top Reeboks? Or .... you reading?! Did I tell you these were cute or what?! Ellie has a, well, let's call it a "Gene"! It is the aggrevation gene! She got it honestly! Oh, wait! She doesnt' have my genes! Hmmm... maybe it is that whole nurture vs. nature thing! Anyway. She saw this opportunity and didn't want to miss it! Maddi is NOT wanting Ellie to pull her. But check out the determination on Ellie's face! ANd as they got closer, I could see it even more marked! Ellie was LOVING it. Maddi was perturbed to say the least. Maddi tends to deal with things through pouting. Ellie, in this case, is a "thing"! And now let us end with a few cutie patootie pics of my "big girl". She refuses to let me call her "my baby". She ALWAYS corrects me by saying, "I'm your 'big girl'. Gabbi is your 'baby'." Ok, so maybe my favorite pics! I can't wait to put them in my Halloween mini album this year! This is soooooo Ellie. She totally thinks she can pick this sucker up! I like her "big" thinking! Now, There you go, Baby. I mean, Big Girl. That is more your speed! I'm proud of this little girl! Crazy mismatched pants legs and all! Love the pictures, they are just too cute. You got some great pictures, love the determination in Ellie's face as she's pulling that wagon. Maddie's face is hysterical. Oh the fun is only beginning, wait until they're teens! Ha! I have been wearing Crocs for almost four years! Love, love, love my Crocs. No hip or knee pain at all. Those three girls are the ticket to start a day with a smile. Thank you both for sharing your babies with us. I love pumpkin patch pictures. I took my daughter to the pumpkin patch to take pictures, but we weren't too successful. She ended up being afraid of pumpkins. Who is afraid of pumpkins!!! 3rd pic up from bottom is the best of Ellie! That pumpkin patch looked like is was a private one just for your girls;where are all the other kiddos? i do love the pumpkin pics - so much so that i will pester you again this year to change the blog banner to a pumpkin pic if you have one of the girlies together!!! and if you don't, then have jessi the computer genius make one for you!! OMG I LOVE PUMPKIN PATCH PICTURES!!! I love the pictures of Maddi and OMG her outfit is too CUTE!!! I had to laugh at the "aggravator"! My 2yr old grandson is the ultimate aggravator! He get's this impish grin on his face and goes "in for the kill". It gives him absolute GLEE to hear them "protest"! Thought it was just a "boy thing" but I see it isnt!! LOL!!! Never fear, there are more cousin "spats" on the horizon. Just sayin! No pretending necessary, the pumkin patch pics are precious. Hope you got one of all 3 to share with us. LOVE the pictures!!! I love orange, green, brown...ahhh. Those pictures of Ellie are pricless, I love them! Can't wait for the stories you will share in about ten years. LOVE the pumpkin pics - they tell such a story about each girl and the entire experience. However, 4:15 a.m. was the time on your post - seriously, 4:15 a.m. - hope that was a mistake, girl. Get some rest. Absolutely do LOVE the pumpkin patch pics!! Your girls are cutie patooties for sure. Love, Love, Love all the pumpkin patch pics. The expressions on each of the girls' faces are priceless!!!! I DO love the pumpkin patch pics! They bring back happy memories of years past, when I took our boys to the pumpkin patch. Gonna have to find some of those old pics to post! 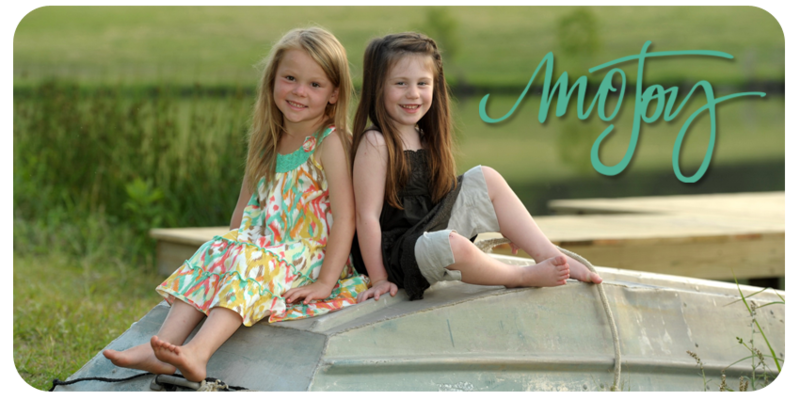 Love the fun AND the drama going on with those little girls...too cute! Hey Staci...I sure do miss you, girl! Ever think about blogging again? Yes, the pumpkin patch pictures are cute! They are all absolutely adorable...and dolled up just as cute as can be! How cool are those crosses in the background...never have I seen something like that at a pumpkin patch around here. Ellie's determination is hilarious - not to Maddi though! Thanks for sharing - looking forward to seeing the rest. I love, love, love the pictures!! Keep em comin! Love the pumpkin patch pictures & of course would love to see more! !